A new fitness wearable for the holiday season hit the market this morning, the Huawei Fit from Huawei. Available right now for a price of $129.99, the Huawei Fit is designed to offer a great fitness tracking experience, while also being a pretty good looking smartwatch-like device. Unlike the Huawei Watch or Moto 360, the Huawei Fit does not run Android Wear. Instead, it’s a barebones mobile operating system designed to sip battery juice and deliver straightforward fitness tracking. According to Huawei, the Huawei Fit can last up to 6 days on 2 hours of charge, making it a solid option for those who don’t feel the need to constantly charge their wearables every night. Allowing such great battery life is the Fit’s 1″ Memory LCD display, which also has an ambient light sensor for night time viewing. Other specifications include Bluetooth 4.2, IP68 water resistance, heart rate monitor, and coupled GPS capability. Powering all of this is just a 80mAh battery. In terms of what you can track with Fit, it might be easier to list the things you can’t track. As detailed by Huawei, the Fit is capable of tracking a user’s sleep, running, jogging, walking, cycling, treadmill workouts, swimming, and more. If you intend on getting into better shape with the help of Fit, Huawei has a built-in training mode for runners, completely customizable based on your physical attributes. On top of the device itself, Huawei introduced an Android and iOS application to help manage all of the information you can gather on the device. For those who utilize 3rd-party fitness services, you will be happy to know that integration for Google Fit, UP by Jawbone, and MyFitnessPal is built into the Huawei Wear application. As mentioned, the Huawei Fit is available starting today for the price of $129.99. It can be purchased at Best Buy, Amazon and Newegg, as well as on Huawei’s own website. Does this offer enough for you to replace your Fitbit? PLANO, Texas — November 3, 2016 – Huawei Device USA, a division of Huawei Consumer Business Group, today announced the availability of Huawei Fit, a new wearable device designed to fit every body’s fitness needs. 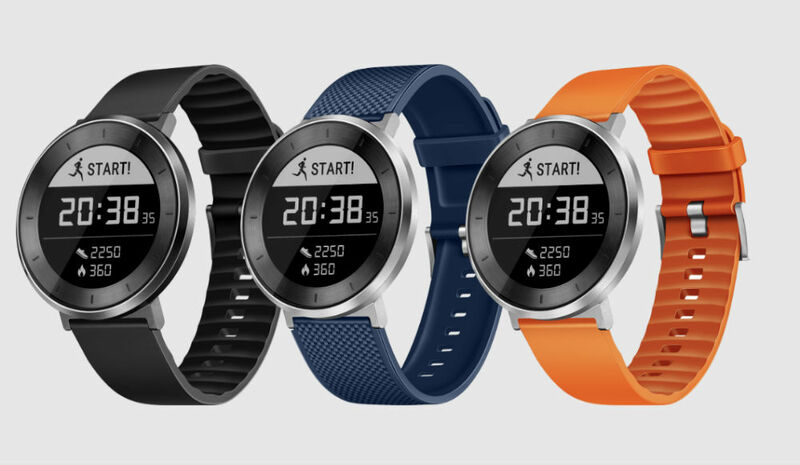 Featuring multi-sport tracking, automatic step count, heart rate and sleep monitoring, as well as smartphone alerts, Huawei Fit will retail for a suggested price of $129.99 USD at Best Buy, Amazon and Newegg. Huawei Fit is the perfect companion for every body – regardless of fitness level. It bridges the gap between a smartwatch and a fitness tracker, with a stylish design and standard band sizes so you can easily swap for a customized look. The rugged, always-on LCD touch screen delivers important information at a glance, such as time, steps, and heart rate. Switch between preset dial styles—the time is always visible, even in strong light, thanks to the reflective and backlit display, controlled by an ambient light sensor. The Huawei Fit’s body is molded from a single aluminum component, in two finishes: Moonlight Silver and Titanium Grey. Quality manufacturing processes and design enable the Fit to meet 5ATM water resistance standards. Huawei Fit automatically senses when the wearer is walking, running and sleeping, and monitors these activities, recording the number of steps, distance, calories burned and duration of sleep every day. Through the Huawei Wear app, users can set their goal, and the Huawei Fit will track progress throughout the day. Huawei Fit delivers accurate heart rate measurements, thanks to an innovative design and high signal strength, as well as unique skin color detection algorithms to account for different skin tones. Heart rate can be measured manually by accessing the heart rate screen, automatically throughout an exercise session, or continuous all-day monitoring for a detailed view of heart rate over four hours. During exercise and training modes, five heart rate zones are displayed on the watch in real time. These zones are divided according to the activity: warm up, fat burning, aerobic endurance, anaerobic endurance and maximum effort. When the heart rate approaches the maximum effort zone, the watch will vibrate to alert the user. Paired with the Huawei Wear app, users can review a daily heart rate curve, including minimum and maximum rates and resting heart rate. It can also provide a health assessment based on heart rate statistics over time. Huawei Fit supports multiple forms of exercise, including walking, running, cycling, treadmill workouts and swimming, with different modes monitoring different data. Huawei Fit will automatically identify walking/running status and record data, including goals such as distance, calories, times, fat burning, and aerobic endurance. At the completion of a session, the watch can display statistics such as distant, duration, average pace, calories, heart rate range, exercise result score, new records, VO2 max and recovery time. For users looking to improve their fitness performance, Huawei Fit offers comprehensive running training guidance based on stamina and training goals. Leveraging technology from FirstBeat®, a leading provider of physiological analytics for sports and well-being, Huawei Fit can design running plans, give real time guidance during a session, and export reports upon session completion. Huawei Fit’s training supports five km, 10 km, half marathon and marathon modes. Each plan can be designed according to the user’s exercise habits, available time and physical fitness. Keep in touch, even during the toughest workout. Simply sync Huawei Fit to a smartphone to receive smart alerts for incoming call and messages. The watch will vibrate when a call is incoming, identify when a call is missed, and even allow you to end a call by swiping up on the watch screen. Good sleep is important for optimum health, so Huawei Fit also provides detailed sleep analysis, tracking sleeping and waking times, including evaluation sleep stages, such as light sleep and deep sleep. Huawei Fit leverages the Pittsburgh sleep quality index and polysomnography to provide a detailed sleep analysis report. Huawei Fit can keep up with user’s workout schedules, with a powerful battery that lasts for six days with normal use and up to 30 days in standby mode. Charging time for a full battery is less than two hours. Huawei Fit will be available starting November 3 at participating retailers including Best Buy, Amazon and Newegg. The Black version will be available exclusively at Best Buy stores for the first 60 days, while the other colors – Orange and Blue—will be broadly available online. AfterShip Package Tracker Gets Account Syncing!